Hace un par de meses se celebró la primera edición del Marketground en Barberá del Vallés (Barcelona). 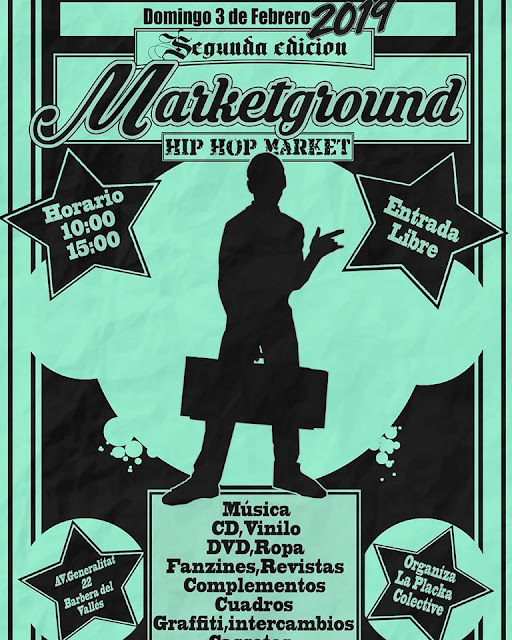 Marketground es una iniciativa del colectivo La Placka, un mercadillo artesanal en torno al hip hop, donde vender tus creaciones, intercambiarlas y comprar a otros artistas sus obras. La primera edición fue un éxito de asistencia tanto de stands como de asistentes; ropa, vinilos, fanzines y libros actuales y antiguos, esculturas.... todo esto en un muy buen ambiente, reencuentros, y música en directo. Así que estamos muy contentos de poder anunciar esta segunda edición del Marketground que se celebrará el próximo 3 de febrero, y de poder participar de nuevo. 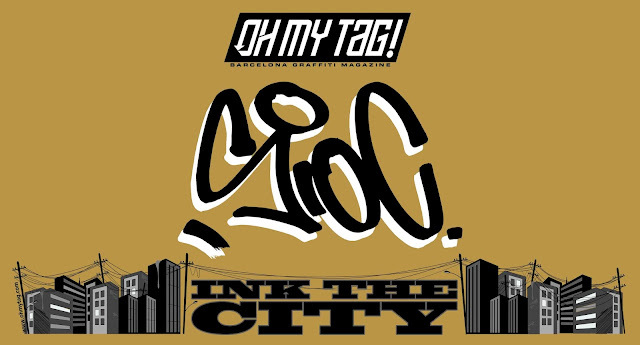 Esta vez, a parte de nuestros fanzines y ropa de Oh my tag! , llevaremos nuevos productos que iremos anunciando estos días por las redes sociales. A couple of months ago the first edition of the Marketground was held in Barberá del Vallés (Barcelona). Marketground is an initiative of the La Placka collective, an artisan market around hip hop, where you can sell your creations, exchange them and buy other artists' works. The first edition was a successful attendance of both stands and attendees; clothes, vinyl, fanzines and current and old books, sculptures ... all this in a very good atmosphere, reunions, and live music. So we are very happy to be able to announce this second edition of the Marketground that will be held next February 3, and to be able to participate again. This time, apart from our fanzines and clothes Oh my tag! , we will bring new products that we will be announcing these days through social networks.